Students wishing to have credits transferred must arrange for OFFICIAL transcripts to be forwarded to the Registrar’s Office. The transcript evaluation of previous academic work will be completed by the transfer officer on an individual basis. 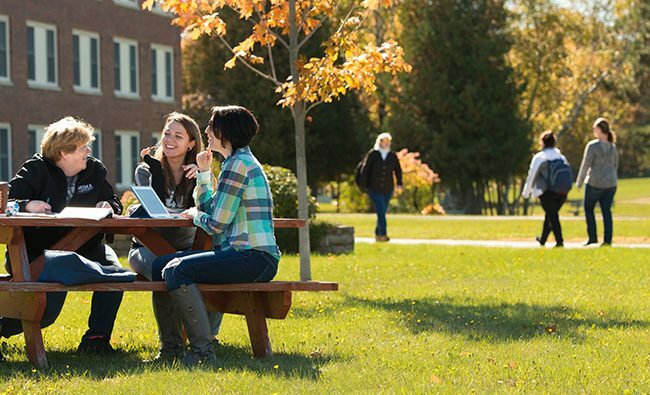 Credits from outside the University of Maine System: Transfer credit may be given for coursework completed at a regionally accredited institution of higher education and grades of ‘C-‘ or higher are considered for transfer credit. Within the University of Maine System: Trustee policy is to provide the maximum opportunity for transfer within the System. When a student is accepted for transfer, undergraduate degree credits with grades of C- or higher obtained at any unit of the University will be transferable to any other unit but will not be automatically applied to the specific academic degree program into which transfer is effected. The appropriate application of that credit is to be the responsibility of the particular academic college. To determine which courses are transferable for degree program credit, students who anticipate the need to transfer course credits should consult with their academic advisor or the transfer officer prior to enrollment.